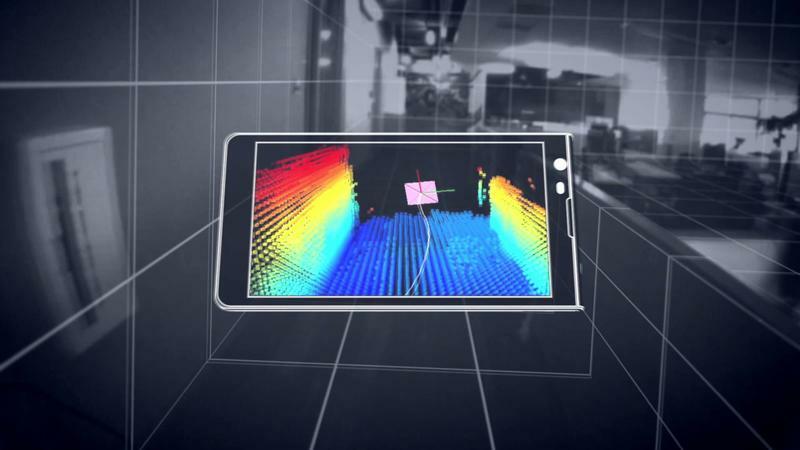 Google is working on a weird prototype future phone that can actually see—like a mobile Kinect in your pocket. Known as Project Tango, the Android-based device will be a limited-run experiment, complete with all-new chipset, handed out to 200 developers in March; the handset is being developed out of Google's Advanced Technology and Projects (ATAP) group, which also had a hand in the modular Project Ara concept (the part that Google kept when it sold off Motorola). The device will allegedly come equipped with an advanced visual processing chipset, Myriad 1, which is being promised to have much more complex processing power than a typical smartphone chip. "Project Tango strives to give mobile devices a human-like understanding of space and motion through advanced sensor fusion and computer vision, enabling new and enhanced types of user experiences—including 3D scanning, indoor navigation and immersive gaming," explained ATAP's technical program lead, Johnny Lee. Lee was a former Microsoft researcher who helped develop the Kinect. The purpose of the experiment seems to be all about mapping the space around us. According to Google, Tango is a device capable of understanding space and motion using customer hardware and software. The device's sensors are capable of capturing and processing a position, orientation and depth data, and then using that information to create 3D maps. The reason Tango is being offered in such a limited run is because not even Google knows what to do with it. It sounds like Google is interested in beta testing Tango—like its Glass experiment—to see what developers come up with. Google does offer some suggestions, like being able to walk around a room to get its dimensions before buying furniture. So in addition to the phone being your standard fare, complete with gyroscope and compass, it'll constantly be scanning your surroundings. The data it collects will supposedly be available via API, which can then be put into Android apps. As we mentioned, Tango is being limited to only 200 developers, and you have to apply if you're interested. When the units start shipping out next month, hopefully we'll see some awesome use cases come to life. Project Tango is another feather in Google's outside-the-box-thinking cap; other projects include Glass, Project Loon, Fiber and even smarter contact lenses.